In this first in a series, we discuss the many potential use cases for retailers implementing RFID, criteria to select the best place to start, and which initial use case is the one overwhelmingly being chosen by retailers as their starting point. More than ever, retailers are reimagining their businesses—the functions their stores provide, the value they bring, and how they operate, driven not only by the rise of omni-channel and the need to respond to competitive threats from Amazon and others, but as well by the possibilities that new technologies create. We are at the beginning of a new era, where the store is a multi-faceted venue with the ability to fulfill orders with the efficiency of a warehouse and capture shoppers’ buying behaviors and personalize as well as websites do, all while providing the experiential and human touches that only a physical store can. A key element of this transformation is developing a highly precise and granular view with deep insights into what is actually going on in the store by enabling it with sensors and data collection devices. That is not just some hypothetical vision of a store of the future. Key technology elements are available today to make this possible. 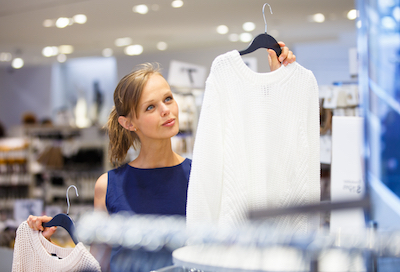 In particular, many retailers are using RFID (Radio Frequency Identification) today across their chains to achieve superior item-level visibility, a key enabler of the new re-imagined store. 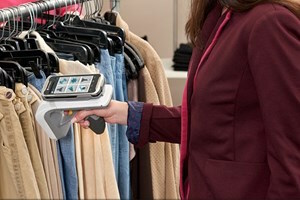 The use of RFID in retail has been accelerating in the past few years, with a growing number of retailers adopting this technology widely and successfully across their businesses. Retailers will apply RFID tags to over five billion items this year, growing to about seven billion tagged items next year. Most of these existing deployments rely on handheld RFID readers, which have proven to be very flexible, easy to deploy, and cost-effective. Recently, pilots with newer technologies, such as overhead RFID readers, offer the promise of a more automated and continuous real-time view of what is happening in the store, enabling use cases beyond optimized inventory management to fulfill the vision of the re-imagined store and shopping experience. As RFID technologies and options evolve, different solution providers are offering differing advice about the best place to start RFID projects and the most appropriate type of reader infrastructure to use. Conflicting advice can make it harder for those evaluating RFID to know where to begin and to confidently create a roadmap for moving forward. In this paper, we provide some objective guidance, based on our research, to help retailers establish an implementation roadmap that provides rapid yet sustaining value, supporting vital current initiatives such as omni-channel order fulfillment, while providing a path to more ambitious goals, with the ability to expand and adapt as RFID solutions evolve. What use case will drive the quickest initial ROI? Where is the retailer having the greatest operational chalenges? What metrics will be measured to determine success? How can RFID support the retailer’s most important goals and initiatives, such as omni-channel? Sample management—Some retailers are using RFID to track and manage samples from their suppliers. Samples are often four times the cost of the final production item and are frequently misplaced when being used for photography shoots or materials background and research activities. RFID provides a check-in/check-out system and the ability to locate items that are not in the sample library when needed. Read Accuracy—Sometimes called ‘read rate,’ refers to the percent of items successfully read by an RFID reader. If there are 1,000 items and 995 of them are successfully read, then the read accuracy is 99.5%. With today’s handheld technology and the right training and compliance monitoring of its use by store associates, it is common to achieve 99% or better read accuracy. There are many more ways that RFID can be applied to generate value in the retail store, but this list encompasses the ones that come up most often. 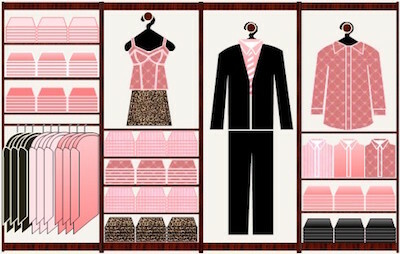 Given all these choices for use cases, where should a retailer start? The overwhelming majority of successful implementations have centered first and foremost on one primary use case, optimizing Store Inventory Management. Our research has shown that inventory management, when applied to the right retail categories,7 provides by far the largest and most direct financial benefits for most retailers—OOS reduction resulting in sales uplift typically in the 5% to 15% range, and markdown avoidance resulting in margin improvements of 1% to 5%. OOS reduction and markdown avoidance are driven by the inventory accuracy improvements realized by the regular use of RFID based inventory cycle count processes. Retailers’ average SKU/Store inventory accuracy is typically in the low-60% to high-70% range. By using handheld RFID readers to cycle count on a regular basis, with the right program in place,8 most retailers achieve 95% to 98+% accuracy. It is this dramatic increase in inventory accuracy that drives the benefits of OOS reduction, markdown avoidance, sales increase, and profitable omni-channel fulfillment. In part two of this series, we look at the various choices available for RFID reader hardware infrastructure and their varying stages of maturity, capital costs, and implementation implications.